Flight restrictions indicate President Trump could travel to Palm Beach for President's Day Weekend. PALM BEACH COUNTY, Fla. — President Trump departed Joint Base Andrews at 4:20 p.m. Friday en route to Palm Beach County. 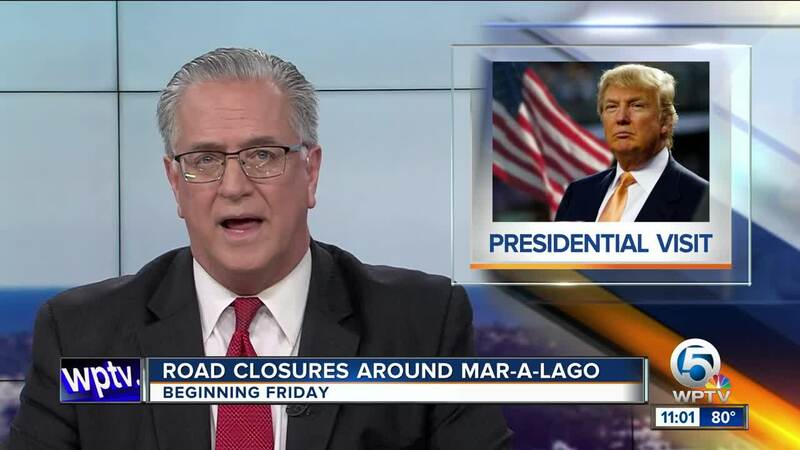 The president and first lady arrived at Palm Beach International Airport around 6:40 p.m.
Security checkpoints and road closures are in effect around Mar-a-Lago through Monday. 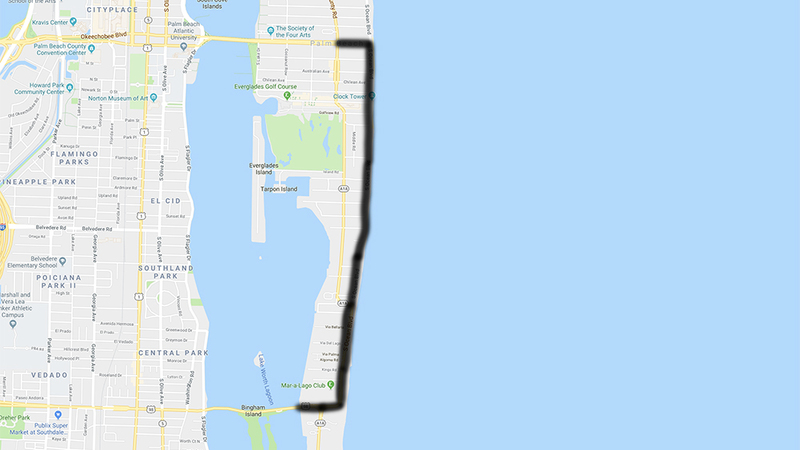 All forms of travel, including pedestrian travel, are prohibited on S. Ocean Boulevard from the intersection of S. County Road to Southern Boulevard. The travel restrictions will also extend eastward to the ocean. The president and first lady most recently traveled to Palm Beach earlier this month for Super Bowl Weekend.